Once again, US-led coalition targets local infrastructure in Syria causing damage to civil life instead of eliminating terrorism. Yet, marches worldwide continue to support redundant causes that ignore lives of millions besieged in their own homes because of terrorism. The city under the terrorist colonization of DAESH for over three years now is disconnected from the entire country living under the mercy of the radical group. According to SANA, Warplanes of the US-led “international coalition” destroyed the old and new Raqqa bridges and the drinking water lines causing the stopping of pumping water for the entire city of Raqqa. Local and media sources said that warplanes affiliated to the US-led coalition on Friday morning launched a raid on the new and old Raqqa bridges in Raqqa city, destroying them totally. 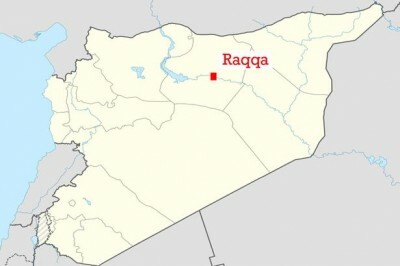 The sources added that the airstrikes also targeted the main water line which supplies the city of Raqqa with drinking water which led to cutting off drinking water to the whole city. In the northern countryside of the province, the sources said that the airstrikes also destroyed the bridges of al-Kalta and al-Abbara completely.